“Staff recruitment is exclusively a people business and providing the best possible facilities for my staff is priority.weberfloor 4310 fibre flow pumped screed was the fast flooring solution for our new recreation centre,” reports Jason Adams, founder and managing director of I4 Recruitment Limited, Norwich. I4 has taken over the neighbouring premises to its office complex in the Vulcan Road Business Zone of the City. The commercial building had previously been a recycling centre and required major refurbishment which included renovating and levelling the main floor area. Smart Renders of Norwich brought their expertise and Saint-Gobain Weberproducts to the project. Ray Smart, managing director, surveyed the building and with support from Weber’s technical team drew up the technical specification. “The existing substrate sloped down to a central gulley and this required a sand blinding to achieve a reasonable level which was then covered by a 100 micron weberfloor DPM. 60mm Expanded Polystyrene Insulation was laid and taped together with weber DB matting as a slip membrane covering. Weberfloor 4945 glass fibre mesh reinforcement was placed over the membrane and weberfloor 4310 fibre floor self-levelling screed pumped into place at a depth of 25mm. The finish is excellent and will carry any type of surface covering easily. The speed of this 85m² project was impressive and very quickly transformed the quality of the premises,” explains Ray Smart. Weberfloor 4310 fibre flow is a pump-applied, fibre reinforced, levelling compound designed for application at thicknesses between 5 – 50mm. This floor screed is formulated from special cements, aggregates, supplementary binders and chemical admixtures. It is supplied as a pre-blended dry powder and designed specifically for renovation of existing floors and floating floor construction in domestic and commercial applications. It is suitable for covering with a wide variety of finishes including tiles, carpets, flexible floor coverings and parquet flooring. 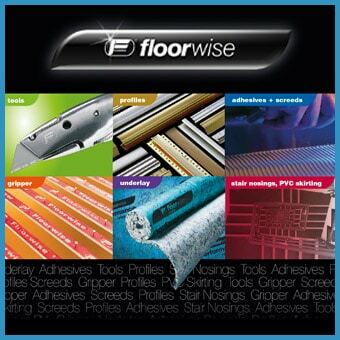 It can also be used in conjunction with under floor heating systems. The fibre reinforcement adds durability and weberfloor 4310 fibre flow has excellent spreading and smoothing characteristics. It has low alkalinity and low emissions during drying and is casein-free. “Colin Allport and I started Smart Renders five years ago and have used the webertherm External Wall Insulation on many projects throughout East Anglia. The local commercial and industrial picture is changing, and changing fast, with older style dirty businesses being phased out and new technical businesses coming in. This means premises like this one in Vulcan Road need to change from rugged workshops to commercial offices with smart staff facilities. The staff of I4 Recruitment will now have their own gym and recreation centre to break the pressure cycle of their business work. We see a big future for us with weberfloor products,” enthuses Ray Smart. For more information about this project, or for technical support, please contact Saint-Gobain Weber on 08703 330 070, or visit www.netweber.co.uk.